Last month, BEVs doubled registrations YoY, pushing the overall market up (+28%), despite every other fuel dropping at least 20%, which lead to a record BEV (58%) and PEV (69%) shares, with the Tesla Model 3 deliveries going through the roof in March, with 5,315 registrations, a new all-time record for any nameplate in Norway, whatever the fuel. In this context, the current 61% PEV share in 2019 should grow to some 70% PEV share this year, with peak months possibly reaching 80%. The fuels mix is showing BEVs as the standard choice (58%), while every other fuel is falling significantly, like petrol dropping to 12% share (20% a year ago), or diesel being down to 10% (16% last year). The time when diesel sales are in single digits is getting nearer by the day. 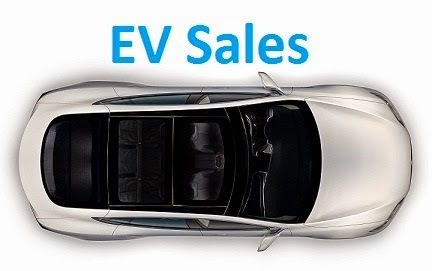 Looking at last month Top Sellers, the Tesla Model 3 broke all possible records, with 5,315 units, being followed by the #2 VW e-Golf and the #3 Mitsubishi Outlander PHEV, that is currently the only plug-in hybrid selling in significant volumes, having beaten in March the all-time sales record for PHEVs, with 810 registrations. Maybe because it is one of the few PHEVs that does not have a strong direct competitor on the BEV field? Outside the podium, the BMW delivered 784 i3's, being the nameplate best result since November 2016, while the Audi e-Tron jumped to the 5th spot, with 680 deliveries, a new personal best. Looking at the 2019 ranking, we have a new leader, with the Tesla Model 3 benefiting from the deliveries tsunami to jump to the leadership, with the Californian already doubling registrations of the #2 VW e-Golf. I guess Tesla can already start to prepare the Best Seller party on new years eve, as both trophies (model and manufacturer) should go to Palo Alto, California. Elsewhere, a new wave of BEVs are stealing the show, with several models hitting record numbers, like the Jaguar i-Pace registering 442 units, Kia Niro EV delivering 187 units, the Hyundai Kona EV (331 units), and finally the Audi e-Tron (680), that has jumped 9 spots to…#9. In the midst of the BEV takeover (10 BEVs among the Top 11), one of the few PHEVs to escape the doom and gloom of its category was the Volvo V60 PHEV, that joined the Top 20, at #18, thanks to 165 registrations, the nameplate best result since 2017. Looking at the manufacturers ranking, Tesla is the new leader (30%), now being followed by the previous leaders Volkswagen and BMW (both with 11%), while Hyundai (9%) is leading a pack of brands (Nissan, Mitsubishi, Volvo…) that is trying to catch up the German makers. If the 2019 title seems already attributed, in 2020 i guess only Volkswagen will have a shot at displacing Tesla from the lead, and assuming the ID hatchback production ramp up goes smoothly. With the PEV share at 69%, the plug-in market continues to merge with the mainstream, breaking down sales by fuel source, we have 9 BEVs in the Top 10, with only 1 PHEV (Mitsu Outlander PHEV, in #3), in the Top 10, while the best selling HEV (Toyota Yaris Hybrid, 248 units) was only #12, with this being the first time the Top 10 was made only by pluggable vehicles. For how long will the Mitsubishi resist the never-ending BEV wave? Where is the Nissan e-nv 200? With around 500 sales it is a significant player and beating many other models. It's a van though right? While these results just focus on passenger vehicles afaict. Exacly. This is only a passenger car ranking.